Making your own wine at home has never been easier! Unlike beer brewing, which requires boiling malt with hops to create the wort before fermentation, winemaking simply requires mixing the ingredients with yeast and letting it ferment until it is ready to bottle. You don't need equipment like burners, brew pots, mash tuns or pumps. All you need is a fermenter and time. 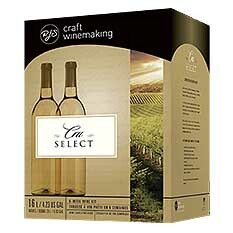 So take some time and explore the selection of wine making kits from Beverage Factory!